Our mission is to build a network of scientists and educators that focus on the current challenges facing the fight against Lyme disease and other emerging tick-borne illnesses. Our team strives to provide reliable, accurate and timely information to persons at risk from tick bites. Lyme and tick-borne disease is often misdiagnosed. As a result, the opportunity for early treatment is missed. Therefore, we offer laboratory tick testing services delivering the earliest detection of disease exposure. 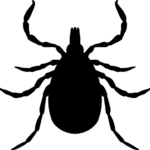 Order a Universal Tick Test and receive a comprehensive evaluation regarding your risk of infection. Acute infections can be asymptomatic or complicated by co-infections. Misdiagnosis of tick-borne disease is common. No matter where you live, tick-borne diseases can be passed onto you or your family by an infected tick. Identify locations of emerging tick-borne disease. Characterize seasonal occurrences of tick activity and disease prevalence. Track national tick migration and the spread of tick-borne disease. Your tick data will become part of our national surveillance and Lyme disease awareness, prevention and education programs coordinated in partnership with non-profit and academic organizations. Do I need to wait for a kit to be sent to me? No. Send us your tick as soon as possible using supplies home and follow our online tick submission guidelines. What if my tick is old, damaged or in alcohol? While alcohol is fine, age and other environmental factors are difficult to predict. To ensure accurate results, all specimens are required to pass our DNA standards. If your test fails you will be offered a full refund. For best results, recover as much of the specimen as possible (50% or greater). What if I have multiple ticks? Scenario 1: Tick bites from a single person: Up to 4 ticks can be combined in a single test. Place each tick in a separate baggie so that we recover them all. Order one tick test at checkout (QTY. 1). Scenario 2: Tick bites from different people: Place each tick in a separate baggie and label each bag with a unique identifier such as "Jane" and "John" or "A" and "B". Order the appropriate number of tests needed (QTY. 2).